Samus brought the last Metroid to the Ceres research station. Their pioneering research discovered unique properties that could benefit civilization. 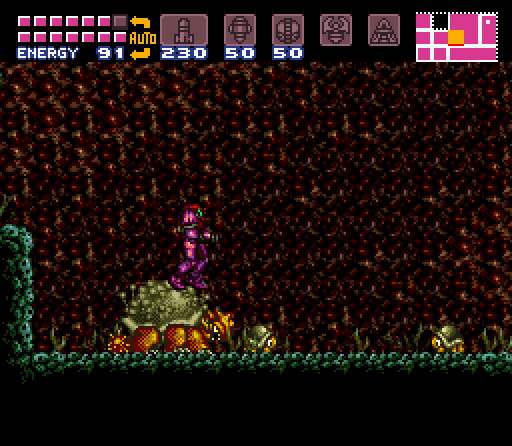 However, Space Pirates steal the Metroid and flee to Zebes once again. Samus must infiltrate the planet, acquire upgrades to her Power Suit and destroy the four Space Pirate leaders to open the path to the final battle in Tourian. A new map system points you to target locations while Refill stations can be used to recharge and Save stations to save your game. 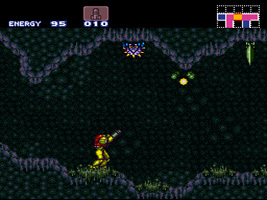 Samus also has a wide range of new weapons at her disposal, including Super Missiles, Power Bombs, the Speed Booster and Grappling Beam. During the game you find a giant, shelled creature named Tatori who is fiercely protective of its children. Its children, Tatori Jr., strongly resemble the Buzzy Beetle enemies from the Mario series.